A lot of posters this week and quite the range of styles. So many different colors and styles; and several of them showcase just one person (11 out of 15 do). Some I just have to mention. Gravity gets us up close and personal with George Clooney and gives off an expected tone for the upcoming thriller. I really like The Secret Life of Walter Mitty and his head (and all of him) being up in the clouds. The Hunted grabs my attention with the colorization. I have no idea what that is for but it reminds me of V/H/S. The poster for Mr. Pip may be a bit lazy as a collage, but I like it because it makes me think of The Impossible. I hope it is a fraction of as good. As cool as the Thor ones are, they don’t do anything special for me. Dallas Buyers Club annoys me in that it has McConaughey holding a phrase instead of, perhaps, a pill. It’s odd and takes away from the poster for me. I am having a hard time picking which I like more among the colorful 47 Ronin, the time-period The Gettysburg Address and the amazing All is Lost. My faves of the week: Gravity, All is Lost and The Secret Life of Walter Mitty. Now, I don’t know that the Dallas Buyers Club was originally a pill, but I thought the version here was a neat idea, and honestly still do, though I’m not sold on the blurry, unrecognizable eyepatch-wearing face. I think it’s interesting to look at both These Birds Walk and The Secret Life of Walter Mitty, they are basically the same pose and yet evoke completely different emotions. Mitty is much more whimsical with his stuffy business suite and muted colors, even his pose feels a little stiff, while These Birds Walk is much more energetic and uplifting with the warm colors and the more natural, athletic pose. I’m interested in the style of the Salinger poster, but I’m unfamiliar with the story and the tagline feels like it’s exploiting the whole Snowden case. The two Thor posters are alright, I think between the two of them, I’m more fond of Loki’s poster and find it interesting that they use a more warm color palette for him. I do like Gravity with the subtle helmet reflection, All is Lost with it’s tilted horizon, The colorful nature of 47 Ronin, and the interesting framing in A Single Shot. My faves of the week: The Secret Life of Walter Mitty, 47 Ronin and These Birds Walk. Next #WSIFF: The Week of the White Sands International Film Festival begins NOW! Is the Salinger poster meant to look Archer? Haha! I haven’t seen much in the way of trailers or news, but the posters do have me curious about 47 Ronin. I am curious about 47 Ronin now too. I wasn’t too much after the 1st trailer, but more so now. I like the looks of that Salinger poster and the one for A Single Shot, which you can watch on Itunes right now by the way. Thanks for that bit of info. I didn’t know that. Did you watch it yet? Is it worth the buy? I like the Loki poster, and the one for 47 Ronin is really eye-catching. I also like the one for Gravity. 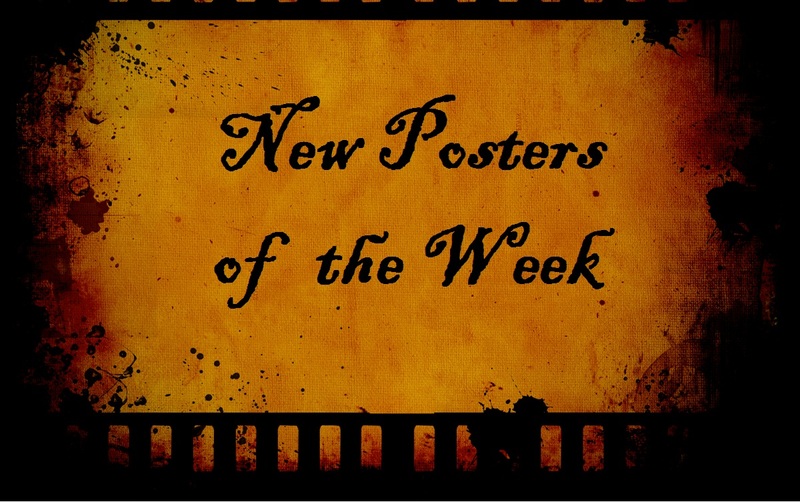 Always appreciate your input here at Posters of the Week! There have been so many Walter Mitty ones to release since this post originally launched. I wonder how many more they will do.